Image for illustrative purposes only. This part number is for SILVER. If not in stock, usually ships in 2 days. NOT FOR USE WITH STOCK EXHAUST. 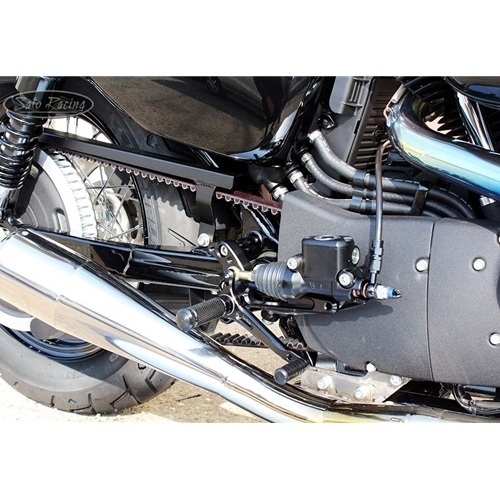 Sato Racing Rear Sets for Sportster models NON-ABS 2014-2017. Tough billet aluminum anodized BLACK or SILVER (with contrasting BLACK base plates). 4 adjustable positions for a mid-level feel -- a bit higher and back than stock.